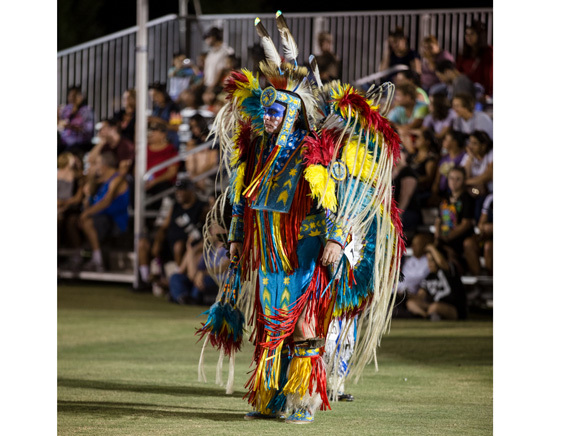 American Indians from different tribes gathered together at the Barona Indian Reservation over Labor Day weekend for the three-day 47th Annual Barona Powwow celebration. Open to the public, this event captured the history and future of the American Indian tribes with ceremonial Gourd Dancing, Grand Entry and the Children’s Powwow. Contests included Men’s Fancy Dance, Hand Drum Contest, Head Man and Women’s Special in several age categories. Hosted by the Barona Band of Mission Indians, the event was a cultural exposition of custom regalia, dance, food, and prayer, bringing the tribes together and educating the community of American Indian culture past and present.